HODEIDA, Yemen: Dozens of Yemeni rebels have been killed in battles and air strikes in Hodeida, medics said on Sunday, as pro-government forces advanced in the insurgent-held Red Sea port city. The bloodshed comes despite growing international pressure to end a years-long conflict that has left thousands dead. 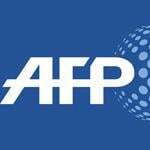 Fifty-three Huthi rebels were killed and dozens were injured over the past 24 hours, medical sources in Hodeida told AFP. Clashes intensified in the city and centred around its university on Saturday and Sunday morning, a pro-government military official said. Huthi media reported air strikes in Hodeida on Sunday but did not give a fighter casualty toll. Military officials said Saudi-led coalition warplanes carried out dozens of air strikes to support pro-government forces in the fighting which began on Thursday evening. Thirteen pro-government troops were killed, medical sources in Aden and Mokha -- where the fighters were transported -- told AFP. The clashes erupted just hours after the government said on Thursday it was ready to restart peace talks with the Iran-backed Huthis. The offer followed a surprise call by the United States for an end to the Yemen war, including air strikes by the coalition. Hodeida port is the entry point for more than 70 percent of imports into the impoverished country, which is teetering on the edge of famine. Hollywood star Angelina Jolie, a special envoy for the UN refugee agency (UNHCR), appealed for an immediate ceasefire. "As an international community we have been shamefully slow to act to end the crisis in Yemen," she said in a statement during a trip to South Korea. "We have watched the situation deteriorate to the point that Yemen is now on the brink of man-made famine, and facing the worst cholera epidemic in the world in decades," Jolie added. "The only way to enable refugees to return home, and to bring down the overall numbers worldwide, is to end conflicts themselves." UN Secretary-General Antonio Guterres on Friday had called for a halt to violence to pull Yemen back from the "precipice". After UN-backed peace talks collapsed in September, the coalition announced it was relaunching an assault on Hodeida. Yemeni government officials said on Tuesday that the coalition had sent more than 10,000 new troops towards the battleground city.